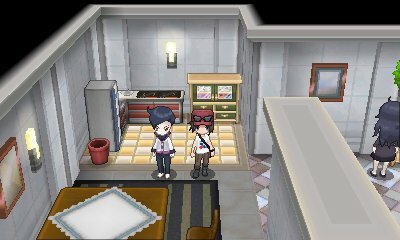 Inverse Battles are a brand new type of battle, located only in one house within Route 18. Once a day, you can challenge this man to a battle, but the battle rules are always contrary to standard. If a move is typically super effective on your Pokémon, it won't be very effective and vice versa, so you need to make sure to plan ahead if you are going to partake. Inver uses different Pokémon every day, all being drawn from the Battle Maison's trainer pool and thus have got Max IVs and are fully EV trained. The AI also adapts to utilise the new type compatibility table efficiently.